I created this intimate image just moments after the bride and groom saw each other for the first time on their wedding day. This location is overlooking the Tea Room at the Millennium Biltmore in Los Angeles. The Millennium Biltmore is an Icon hotel located in the heart of Los Angeles and is known for its classic old Hollywood feel, even hosting the Academy Awards in the early 1930s and 40s. 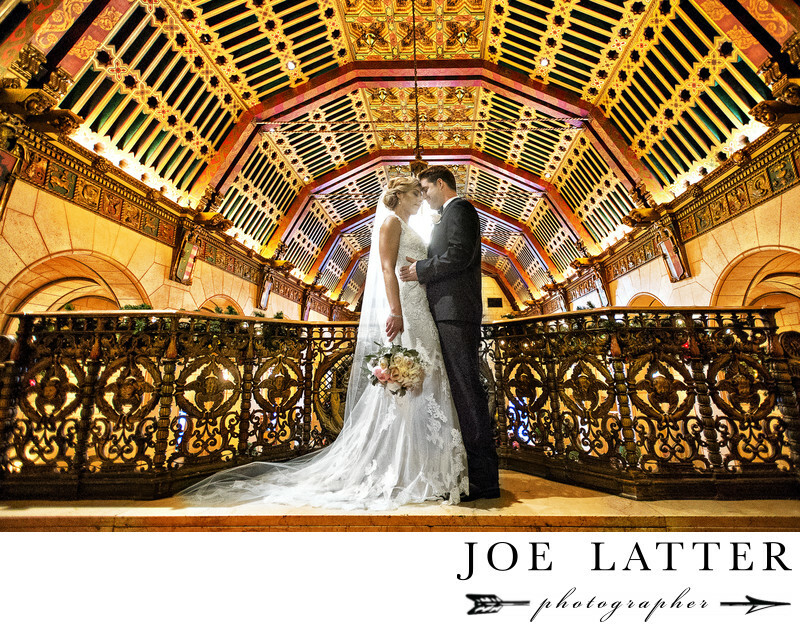 Because of the strong backlight I needed to use extensive editing to bring out the true color of the elaborate ceiling while not affecting the whiteness of the brides dress.